Whether you want to just learn to fly for fun, are aspiring to have a professional career in aviation, or are already a pilot looking to rent aircraft for business or leisure, we offer the most affordable path to learn how to fly. Executive Flight Training specializes in quality flight training for all pilot ratings up to ATP. EFT has earned an excellent reputation for its accelerated training courses form pilots who have limited time available and need to finish their training in a short time. EFT has Simulators, Single, and Multi-engine aircraft rentals. Front Range Airport, which serves as a general aviation reliever airport to DIA, is located approximately 19 miles east of Denver's Central Business District and 6 miles (by ground) southeast of DIA. The airport is one of the largest GA airports in the United States with just under 4,000 acres of land and is currently served by two 100' x 8,000' runways. Its potential for growth has influenced considerable interest in designating the airport as a spaceport. Recent development includes a major renovation to the terminal and the addition of a full-service restaurant and bar. Fuel prices at the airport are typically the lowest in the region. An ideal location to visit . . . or locate. Whether you are beginning a career in aviation or realizing the dream of a lifetime, Front Range Flight School is the flight training school for you. Hangar Network is the leading resource for connecting individuals to aviation real estate. Our map-centric listing service provides unmatched access to a diverse range of airport related real estate. Join Hangar Network as we change the way aviators, industry professionals, and the world connect to aviation real estate. Lost Paddle Rafting is family owned and operated with family members being part of every trip. Since 2003, we have worked hard to maintain an atmosphere and a staff that is committed to treat each guest as the most important guest of the year. We have grown to become the the most respected outfitter in the Royal Gorge area with a reputation for high standards in safety, and customer service. The “little things”, such as fresh, excellent food served on full day rafting trips and our very popular multi-day overnight river rafting trips, friendly office staff, and an outstanding, personable guide staff are what make Lost Paddle itself an experience and not just another outfitter. We invite you to discover your next adventure at Lost Paddle Rafting. 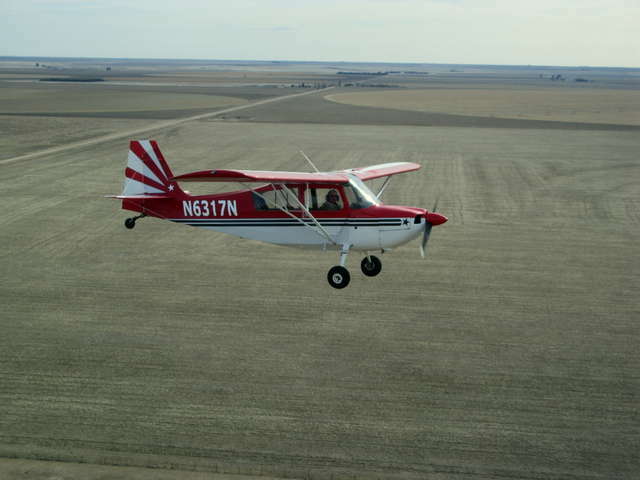 Welcome to The Flying School, northern Colorado’s leading flight training facility. In operation since 1996, we provide a superior aviation education experience in a fun, relaxed atmosphere. We take great pride in our exceptionally well maintained fleet featuring newer 172’s and specialty planes that are cleaner than found in most other schools.Our instructors are hand picked for their vast experience and teaching styles, assuring each student the best possible partnership. The Flying School is located at the Northern Colorado Airport (KFNL), formerly known as the Fort Collins- Loveland Airport, right at the foot of the Rocky Mountains. We have over 300 days of clear blue skies-that equals a faster path for our students to achieve their goals. Transferred from the United States Air Force to a group of volunteers in 1994, Wings Over the Rockies Air & Space Museum is located in Hangar #1 of the former Lowry Air Force Base in eastern Denver, Colorado. Today, the museum boasts more than 182,000 square feet of hangar space full of iconic aircraft, space vehicles, artifacts, military uniforms and much more. Visitors can also experience thrilling flight simulators, discover Wings Aerospace Academy, our enrichment program for 6th-11th grade students, and participate in dozens of exciting museum sponsored events. Wings Over the Rockies Air & Space Museum is a diverse community organization dedicated to unlocking our visitors dreams of flight through exhibitions, events and educational programming. Each year, we welcome roughly 160,000 visitors representing all 50 U.S. states and 28 countries around the world. Award winning professional aerial and aviation photography. Immaculate Flight has been in the aircraft cleaning and detailing business since 2001. Our teams are comprised of aesthetic experts who will keep your aircraft's interior and exterior in top-notch condition. Summit Terragraphics is a commercial site that designs and manufactures 3D raised-relief maps and charts. These unique wall charts are molded to the precise shape of the terrain, allowing pilots to clearly see and understand how hazardous terrain relates to flight plans and airspace. They are both attractive and functional displayed on a wall of a home, office or hangar. Go to Summit's website and look under Aviation Charts to see the full aviation chart product line, including the new 3D wall chart of the Rocky Mountains. John Wright is an experienced Colorado aviation attorney practicing primarily in the areas of aviation, business and tax law. He is a licensed commercial pilot with offices at Rocky Mountain Metropolitan Airport. He is also an AOPA panel attorney and general counsel for the Colorado Agricultural Aviation Association. Link takes you to a page on the Colorado Division of Aeronautics web site displaying a map and listing of Colorado airports. Select airport of interest from the listing and click on the airport data page for a wide range of airport information including airport contact information. The airport website link appears as the last item under contact information. Link takes you to a page on the Colorado Department of Aeronautics web site which provides an online directory and map of Colorado AWOS locations. Colored Icons distinguish between locations at General Aviation Airports, Commercial Service Airports, and Mountain locations. Click the ICON on select sites for current Aviation Digital Data Service (ADDS)weather. Airport locations provide a link to airport data and a wide range of airport related information. Exceptional site . . . but requires some patience because of long load time. Founded in 1966, the Colorado Aviation Historical Society is: "To acquire, restore, preserve and provide for public display, aircraft and other objects, documents, items and things of present or historical interest or value in connection with the development and history or aviation in the State of Colorado and elsewhere". The Society began its operations in 1967. Colorado Humanities has awarded a 2010-11 Research award to the Colorado Airport History Preservation Project under the direction of volunteer Dr. Penny Hamilton to begin to inventory the available airport history for Colorado’s 74 existing public use airports and other important airport and aviation history. Provides access to preliminary accident and incident data that has been received by the Office of Accident Investigation during the last 10 business days. Policy documents used by the FAA in the administration of many of its programs. Excellent resource documents. AC 150/5300-13 on Airport Design, for example, contains 324 pages that tells you anything and everything you might want to know on design and building an airport. This is a busy site and you may experience delays in downloading information. Home page of the FAA maintained web site with links to a wide range of policy and services provided by the agency. Home page of the FAASTeam program. Objective of the program is to improve the Nation's general aviation aviation safety record by conveying safety principles and practices through training, outreach, and education. Excellent reference document for beginning pilots as well as those pursuing more advanced pilot certificates. Or anyone with an interest in the fundamentals of aviation. Produced by the FAA with assistance from the Safety Research Corporation of America. 476 pages in pdf format by chapter. Will appear as Appendix 1 as a new addition to Pilot's Handbook of Aeronautical Knowledge. Provides the information pilots will be tested and checked on in the Private Pilot and Commercial Pilot PTS, effective June 1, 2012, and also in the soon to be released CFI and ATP PTS's, which include a required Runway Incursion Avoidance TASK. Very comprehensive and well illustrated document related to maneuvering and ATC communications on airports. Large file size may discourage some from downloading. But worth the effort for those that do. The U.S. Civil Airmen Statistics is an annual study published to meet the demands of FAA, other government agencies, and industry. It contains detailed airmen statistics not published in other FAA reports. For 17 years, FranNet has been Colorado's premier franchise brokerage and consulting service. No other company has helped more entrepreneurs find the best franchise opportunities to fit their skills, goals, interests, and financial capabilities. With over 50 offices throughout the U.S. and Canada, FranNet is the respected leader in the franchise industry and represents a wide variety of top-quality franchise opportunities looking to expand nationally and internationally. Our free services, our proprietary matching process, our long history of success, and our stellar reputation in the franchise industry make us your best choice for franchise brokerage and consulting services. FranNet is: Local. Trusted. Franchise Experts. AAERO Aviation offers general aviation scholarships to student pilots located in the USA. Airports, navigation aids, fuel pricing. Basic route information under the section on Plan a Route With Fuel Stops. FREE Instrument Procedure Charts for select airports under Airports Menu. Internet-based flight planning tool provided as a member benefit to AOPA members. It will work on Macs as well as PCs, and it can be accessed from any computer, anywhere in the world with Internet access. NavMonster, is back online and operational. Exceptional flight planning program. Free real-time access to aviation weather maps, decoded METARs, TAFs, Winds Aloft, runway details, communication frequencies, FBOs, fuel prices, approach plates, A/FD, Google maps, and more. Special Use Airspace (SUA) and Temporary Flight Restriction (TFR) Web site maintained by the FAA Office of Aeronautical Information Management. Free online source of VFR and IFR charts and airport/facility directory data. Scroll around and zoom in or out on the charts. You also can choose five kinds of charts from a pulldown menu: hybrid VFR (a combination of world aeronautical charts, sectional, and terminal); VFR sectional; WAC; IFR en route high-altitude charts; and low IFR (a combination of IFR en route low-altitude charts and IFR area charts). You can’t draw a course on these charts, but the site is a quick and easy reference for a variety of uses. Colorado Flight Center is western Colorado’s premier flight training, air charter, and aircraft rental facility operating out of the Grand Junction Regional Airport and the Garfield County Regional Airport. FOX Aerosport is the authorized USA Dealer / Service Center for the Czech Sport Aircraft line of Light Sport Aircraft (LSA) - including the SportCruiser and PiperSport - within Colorado, Idaho, Kansas, Montana, Nebraska, New Mexico, Utah, and Wyoming. As an authorized independent ROTAX Repair Centre (iRC), we provide full service and maintenance for your light sport aircraft and ROTAX engine. Conveniently located at Rocky Mountain Metro Airport in Broomfield. Free monthly online aviation publication by noted aviation writer Dan Pimentel. Viewing the magazine is free and requires no sign-up or registration, however there is an optional email notification list established to alert readers when each new issue publishes. Founded by Dave Pascoe as a small place on the web to share live air traffic communications from Boston's Logan Airport. Since then it has grown rapidly and become a popular resource for those who enjoy listening to and talking about Air Traffic Control (ATC)...aviation enthusiasts, student pilots, student air traffic controllers, flight simulation enthusiasts, FBO operators, airline operators, and just about anyone with an interest in aviation communications. National research project which focuses on promoting success for women in General Aviation flight training. Results of research, 101 suggestions for success, links to resources, bibliography, and ideas for future research. Since 1937, Trade-A-Plane has been THE worldwide Aviation MarketPlace. For 80 years, nothing else compares. From Piper Cubs to Gulfstream Jets, Trade-A-Plane is the place active buyers look first for aircraft, aircraft parts, avionics, services and aviation real estate. And, it’s the place smart sellers use to reach those buyers. Site provides a wealth of information on wide range of legislation related topics for Colorado. The site is an excellent resource for information on State Senators and Representatives including committee assignments and bills sponsored. Also, a click of your mouse button at one location on the site will even bring up a copy of the U.S. Constitution. Site includes congressional district map and a brief bio and point of contact for each representative. Mountain Flying ground school offered 2-3 times per year at select Colorado locations. Optional flight portion of program scheduled at participants discretion. Site includes list of credentialed mountain flying instructors. Fly Colorado is your guide to recreational flying on and off the beaten path in Colorado. Visit the site for detailed information on numerous public, private, and BLM airstrip destinations around the state. Mountain Pass and Weather information including descriptions and pictures are also provided. Sparky Imeson died on March 17, 2009. He left behind a family that believes his books and knowledge are very valuable to the flying community. In honor of his legacy all of Sparky's books and videos remain available on this website. The RAF is a private foundation dedicated to preserving existing airstrips and actually creating new public-use recreational airstrips throughout the United States. Recognized by the IRS as a non-profit 501(c)(3) charitable organization, the RAF is using tax-deductible donations to acquire private land for the development of new airstrips. With a membership base of more than 400,000, or two thirds of all pilots in the United States, AOPA is the largest, most influential aviation association in the world. The Experimental Aircraft Association (EAA) is a growing and diverse organization of members with a wide range of aviation interests and backgrounds. Founded in 1953 by a group of individuals in Milwaukee, Wisconsin, who were interested in building their own airplanes, EAA expanded its mission of growing participation in aviation to include antiques, classics, warbirds, aerobatic aircraft, ultralights, helicopters, and contemporary manufactured aircraft. 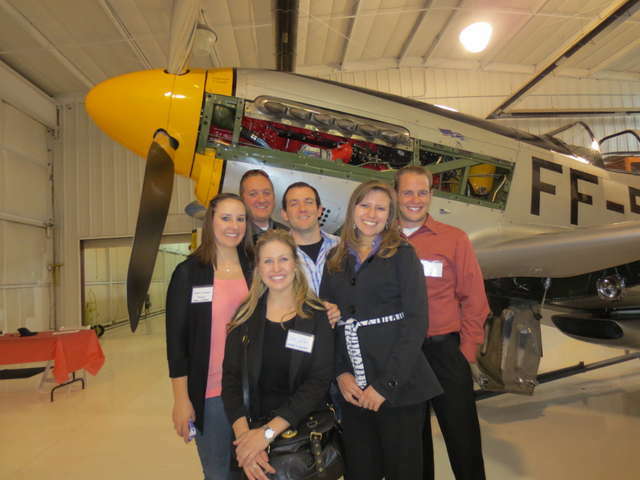 Membership in EAA enables you to share the spirit of aviation with the most passionate community of recreational pilots, builders, and restorers. EAA is the only association that offers the fun and camaraderie of participating in the flying, building, and restoring of recreational aircraft with the most passionate community of aviation enthusiasts. The United States Pilots Association (USPA) is an association of affiliated State Pilot Associations, local Chapters and Individual Members. Objective is to protect and promote General Aviation in the United States. Bruce's Custom Covers provides the original and World's Finest Aircraft Covers for Airplanes, Jets and Helicopters. We offer a variation of Canopy, Engine, Wings, Empennage, Propeller covers, Engine Inlet Plugs and Heatshields. We are a small company based in the heart of Silicon Valley. Give us a call with any questions or cover requests...800/777-6405 or 408/738-3959 or visit us at www.aircraftcovers.com. The Pilot Shop offers a complete line of aviation products and supplies. If you can't find what you are looking for, please let us know and we'll try to find it for you! Helping Your Dreams Takeoff! We can help you find the home of your dreams, or sell your house with speed, ease and professionalism. Membership required for access. Defaults to newest version #1.2.5. Option to use earlier version provided. Current weather for pilots using Google Interactive maps. Shows world-wide METARs, TAFs and PIREPs. Outlines areas for US TFRs, AIRMETs and SIGMETs. Includes winds aloft, density altitudes, lunar phase, sunrise/sunset, basic flight planning and more. Free service but requires login and registration. Exceptional presentation by NOAA with weather readout from a mouse over select sites. Map can be expanded for select areas of interest. Exceptional resource for preliminary flight planning. The Aviation Weather Center delivers consistent, timely and accurate weather information for the world airspace system. Aviation data and maps derived from National Weather Service products. Not for navigational purposes. Aviation Weather Cameras for Colorado Airports - Live weather cameras and AWOS data for selected Colorado airports. Cheyenne Airport - Webcam faces west from the airport terminal building (Would have been more useful for aviation interests had it viewed east towards airport runways). Site contains links to a large number of webcams in Wyoming. Marvelous resource for those planning trips to Wyoming. Johnson Creek, Idaho - This site is provided as a resource and for the viewing pleasure of our customers. It should not be used as the sole source of information when planning a flight into the Johnson Creek Airport. Please verify the date and time stamp at the top of the photo.